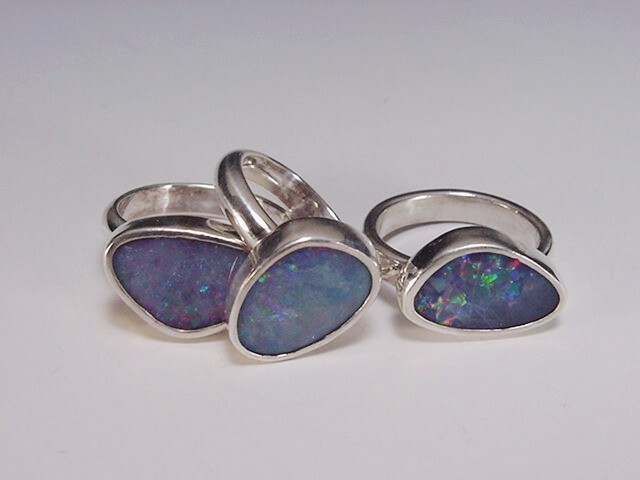 Sterling silver band with Australian opal doublets. Stone colors and shapes vary. Send email for photo of currently available stones.